Description: House fire close up. 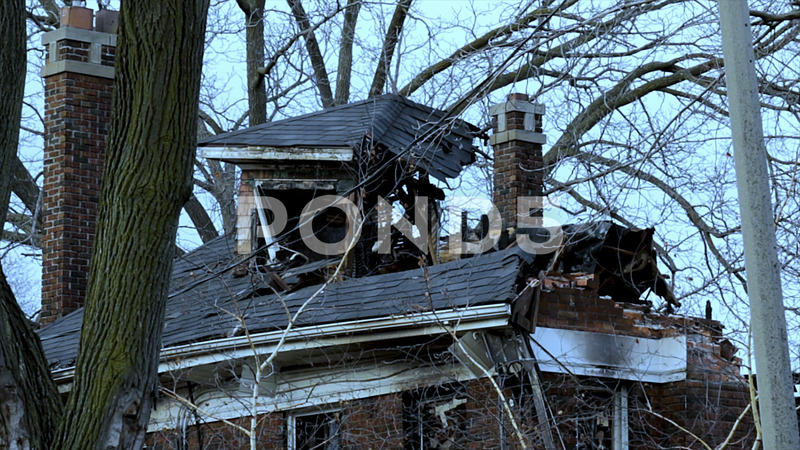 Vacant brick home that has fire damage due to arson. Home being torn down due to extensive arson damage. Charred wood and crumbling brick walls.